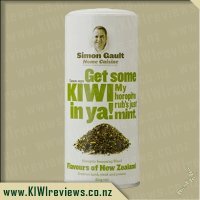 Simon Gault&apos;s very own special selection of Kiwi herbs including native grown Horopito. This amazing seasoning has to be tasted to be believed! 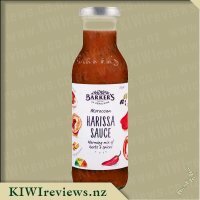 Simon&apos;s Horopito seasoning brings a uniquely New Zealand flavour to traditional favourites like lamb, steak, seafood, veges and turns everyday sauces like tomato into sumptuous experiences. 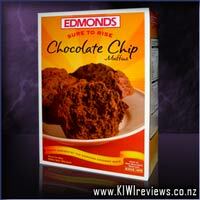 Add it to burger mince, meatballs, bolognese, breads, roast veges for a result that&apos;s a unique taste of New Zealand. I was given this by my friend who had reviewed it and wasn&apos;t that impressed with it so I thought I could try it in some bread so she gave me the rest of the container. I had some friends and family coming over for dinner and I was going to do some herb bread but instead used it with roast vegetables. I rubbed the vegetables over with oil and then gave a generous sprinkle of the herbs and baked in the oven until the vegetables were cooked. The house smelt really nice and I was eager to give it a go. I really enjoyed the herbs on the vegetables as I found that the herbs brought out the flavor, my friends and family were really impressed and the vegetables were eaten rather fast. I had some of the guests ask about the spice and said that they are going to keep an eye open for this in the shops because they liked how the vegetables tasted. I would be buying this again to use on vegetables and will give herb bread a go next time but I wouldn&apos;t be using this on meat. I personally thought that there should have been a bit more information on the tin as to best ways to use it as I find that people are more willing to be adventurous when there is some information on the packaging. I never used to use herbs and spices in the kitchen till meeting my wife and now I&apos;m always keen to try something new and add herbs and spices to our meals. The first meal I used this on was mince on pasta. I used a pasta sauce that I knew from past experience had little to no flavor to it, and given that I added a tin of tomatoes to it I knew it would need even more. I added some to the sauce and then threw in a bit more, I ended up discovering that I had ended up using about a fifth of the jar on this, so far more than I expected, but giving it a try I discovered the sauce was rather nice and everyone gobbled it up. My next dish I added it to my rice but it didn&apos;t end up adding anything worthwhile to the dish. Tonights dinner I added some of this to it, again using far more than I would have expected to but it did end up adding a rather nice flavor to the overall meal and for that I would happily use it again. An added bonus is that a lot of dried herbs I&apos;ve used before end up still being rather tough and do not add a good texture to the meal but this softened up nicely. At this price I wouldn&apos;t rush to buy some again as to get a good flavor in only three meals I used up 3/5 of the container, but other than that a nice flavor when used heavily. 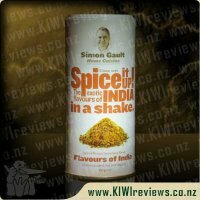 I have tried several of Simon Gault&apos;s spice blends in the past and this was tempting me for a while but due to budget and not knowing if I should be brave and try it, some time has passed before I have finally tried it. 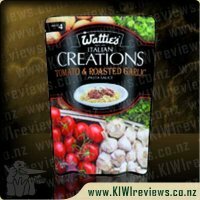 I was doing home made pizza and thought it would be interesting to see if this seasoning made my pizza taste any difference and I really enjoyed my pizza so was thinking of what else I could add this to. I tried a potato bake but found that although the kitchen smelled really yummy the potato didn&apos;t taste any different and I couldn&apos;t taste the seasoning at all. For a final test a friend used it on our chops one night for dinner and we were both eagerly waiting to taste it and found that the meat didn&apos;t taste anywhere as nice as it did smell. 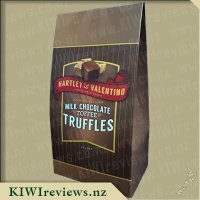 Her comments were that she was looking for some more information on the packaging, some recipe ideas would be nice or ideas on how best to use this seasoning. Since she had no idea on what would be the best way to bring the flavour out she added some oil and used it like a rub. After some consideration I feel that this is not going to be something I would be in a hurry to buy since it isn&apos;t versatile and so far only the pizza tasted simply amazing. I did expect a lot more based on my previous experiences of some other seasonings in Simon Gault&apos;s range. I was stoked to be able to review this as I love trying out different spices and seasonings in my meals to make it that little bit nicer! I wasn&apos;t quite sure what on earth Horopito was but after a bit of googling I decided I might throw some into the roast I was having for tea. 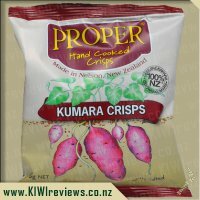 I chopped up some potatoes and kumara and popped them into a glad bag. I threw in some oil, bit of salt and a decent helping of the horopito seasoning, closed the bag and gave it a good shake till it was all covered. I then tipped it into the roasting dish straight into the oven. While cooking the aroma was amazing and my mouth was watering. Once they had cooked I tried some and was highly suprised with how much more yummy it made the vegetables. It had a nice flavour, it wasn&apos;t over powering and it made a nice change to having boring bland vegetables with no flavour. Of course, when I served it up my partner looked at me as if in "what on earth is this" he is a huge critic and believe it or not he raved about the seasoning! I had to laugh at the packaging when I first looked at it with the title on the front. It made me laugh and it automatically made me think yes this is definately a Simon Gault product as it has his sense of humor all over it! The only thing I wasn&apos;t sold on was the shaker in this product. The holes aren&apos;t really big enough to get out enough horopito which is frustrating when you only want a small sprinkle. All in all I really love this seasoning and will be adding it to the grocery list. 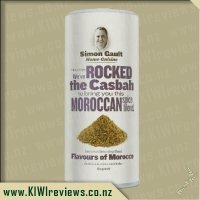 Great product Simon Gault can&apos;t wait to try more of your range. I am always keen to try new seasonings. I was excited to see that Simon Gault had a Kiwi horopito seasoning as I had heard how horopito was great at tenderising meat. I didn&apos;t have any meat when I first received this however after giving it a quick lick test (I could just eat it straight from the packets) decided that this would make an awesome herb bread. I got a thin pizza base and brushed on butter before sprinkling this seasoning over it. The smell while it was in the oven was divine. This was a really good use of it and could also see it being used as a herb butter to use in a similar way. I then used it as a rub on some steak. I left it on here for a couple of hors before cooking. It was hard to judge how much to sprinkle. Adding too much would probably just burn during cooking. It is always hard to tell if it is the seasoning that has tenderised the steak but this was defiantly one tender steak. The last way that I used it was mixed in the breadcrumbs of schnitzel. Once again it gave a added flavour that was very pleasant to the palette. My family and I loved this seasoning and are happy to now have this as a new pantry item with so many uses. 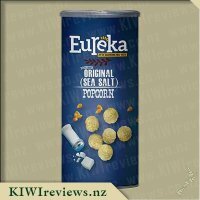 I am keen to see how this lasts in the pantry as I have had problems in the past with other of these seasonings hardening due to the air been able to get to it. I like to have seasonings in airtight packaging to stop it going hard. 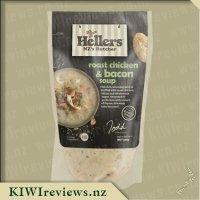 When I saw that Simon Gault&apos;s Kiwi Seasoning was available for review I had to try it purely for the sake of curiosity. Firstly I was relieved to find out that it was not a seasoning for cooking kiwi nor did it contain any kiwi. Looking at the list of ingredients told me it was mainly salt with horopito, dehydrated vegetables and spices. I have never tried horopito and didn&apos;t know what vegetables or spices were in there so I really didn&apos;t know if I would like it but there was only one way to find out. The container has both a shaker and a pourer opening. The shaker wasn&apos;t very practical for the size of the granules. The pourer was well suited for getting the seasoning onto the measuring spoon. Miss 5, not knowing what was in the container, decided to try it straight. From the look on her face I wouldn&apos;t recommend it to anyone unless it was a Fear Factor challenge. I decided to be cautious and use (or at least base) my cooking on one of Simon Gault&apos;s recipes from his website www.simongault.com . 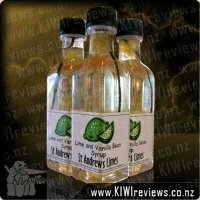 There were twelve different recipes on there using the kiwi seasoning. The one that best suited my family was the Horopito Kiwi Burger. This recipe used 6 tablespoons of the seasoning which was the whole container so I didn&apos;t have a chance to use it for anything else. In the recipe burger patties are made using mince, onion, egg and seasoning. I omitted the onion since my daughters don&apos;t like it and have onion rings in the burger instead. I was supposed to make six patties but they were huge so I made eight instead. When the patties were raw there was quite a contrast of colour between the mince and the seasoning but once cooked this was hardly noticeable. My husband loved his burger and said that the seasoning made it like a gourmet burger from a restaurant or something from a while food festival. I don&apos;t eat bread so I had my pattie on its own. I found it to be too salty for me. My husband didn&apos;t comment on the saltiness perhaps because he loves salt or perhaps he had or the other flavours of the burger bun and fillings to absorb the saltiness. For me I would have loved the seasoning to be without the salt so I could add as much salt as I needed. I don&apos;t think I will be buying it again but I am pleased I tried it. This is the one Simon Gault seasoning that I had been really hovering over at the supermarket for some time. The other seasoning options looks great, but they have nothing on this flavour. The uniqueness of this, compared to what is available at my supermarket - this flavour blows everything else out of the water. 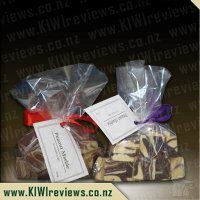 This is proper, proper kiwi including Horopito which has a really neat peppery flavour to it. I guess you could say I watch a lot of cooking shows. I&apos;m a bit obsessed about flavour and experimenting, and so I knew this seasoning pack would eventually get in my trolley. When I had the chance to review it, I snatched it up. The packet is much like many spice or seasoning packets. It&apos;s a tall tube. The branding is distinct enough. It&apos;s a bit cheeky with it&apos;s slogan which I love too. 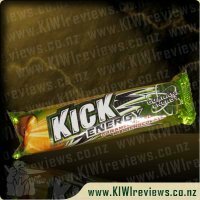 "Get some kiwi in ya!" indeed. The pack was pretty easy to get into. I broke the seal and the top has three different pouring holes depending on what you are doing. Inside, the seasoning herbs look great. I poured some on my hand and the glint of the rock salt in there, and the other bits and pieces too. It looks quite pretty and a great mix of flavours. I put a little in my mouth just to try. The salt hits you, then there is a garlicky taste as well as a punch of peppery spice. Lots of good flavours in there. The first thing I did with this seasoning mix was to add it to my corned beef mix the other weekend. I didn&apos;t have any of the traditional herbs and spices you would add to the pot so I added this and the vegetable stock I was also given. I also sprinkled the seasoning mix onto my checkerboard potatoes. My eldest daughter does like a nicely baked potato, but these she could not get enough of. She was really upset when she found out I had only done one potato for her. So winning! Everyone loved them. I also added the seasoning to my soup the next day. This floated on top a bit, but the flavour came through really nicely. This would be amazing in stuffing for a chicken or beef rolled roast. Or mixed in with some of my scone mix. There are so many possibilities, making this hugely versatile. The pot is 60 grams, which is decent for seasoning. I reckon there will be plenty of meals out of this over the next month or so, before we have to replace the packet. And replace it, we certainly will! Delicious tuna in spring water, on a bed of crisp lettuce leaves, Mainland Edam cheese, crispy cucumber, tasty bite-sized wedges of tomato, crunchy coutons and your choice of Eta 'Lite & Free' French or Italian dressing (containing only 0.1g fat per 30ml serve). 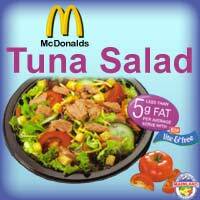 Less than 5 grams of fat per average 308g serve with Lite & Free dressings.